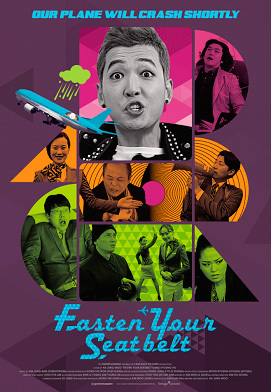 Korean Cultural Service NY is proud to present a special free screening of the hilarious 2013 film FASTEN YOUR SEATBELT. As HA Jung-woo’s acclaimed directorial debut, a pop star, businessman, monk, and paparazzi photographer are among the passengers aboard an airplane when a typhoon strikes. Whereas one might assume the film then becomes tragic, it’s quite the opposite – the film embraces the brilliant comedic misadventures of the passengers and crew! The plot was inspired by the real-life experience of Korean actor RYOO Seung-beom. If you want to experience more great cinema from actors-turned-directors, the 2014 New York Asian Film Festival, co-presented with Korean Cultural Service NY, will be screening PARK Joong Hoon’s directorial debut, TOP STAR, at The Film Society of Lincoln Center on June 28th! Tickets are available http://www.filmlinc.com/films/on-sale/top-star.